Do you dream of sunsets and beaches? Want some piece of summer? Then, look no further than Playa La Caleta in Morong, Bataan! Playa La Caleta may be one of the best beach resorts in Bataan and we’re pretty lucky to have experienced its awesomeness. The moment I saw the photos of this place online, I wanted to go and experience what the resort has to offer. Luckily, my fiance’ and I were able to. If you’re planning on going there, I’ve created this travel guide to help you book that perfect weekend getaway! ‘Playa La Caleta’ is a Spanish phrase which means ‘Beach Cove’. Tucked in Morong Bataan, this eco-tourism resort has about 1km beach, 3 waterfalls, and green forest. There’s also Miguelito Island named after Miguelito Camacho who primarily runs this beach resort. What I love about this beach resort is their advocacy for sustainable tourism. They have beach clean-ups every month, eco-brick programs, eco-camps, tree planting, eagle, turtle and clam conservation efforts and ban of single-use plastic. Pretty cool, huh? I wish all the resorts in the Philippines would do these, too. Since it was our first time going to Bataan, we opted to use the 1Bataan Ferry. It was a pretty awesome ride. Instead of the 3 to 4 hours trip to Balanga, Bataan. It only took us around 1 hour. Before going to the resort, my fiance’ and I bought some fresh fish to grill and cook. Upon reaching Playa La Caleta beach resort, I was amazed at how creative the resort was. They used bamboos, wood, and some fabrics to pull off a serene looking beach resort. The sand here isn’t pure white, though. There are parts that have black sand and some parts with mixed black and white sand. During low tide, the water can go as low as your ankle. I’m not kidding. Haha. You have to walk for a few meters before you can dip into waters that are just around your waist area. I think this feature of Playa La Caleta beach resort is what makes it a child-friendly destination. I fell in love with their swings! Who wouldn’t? There’s also a swing on the right side of the beach that only shows up during low tide. You can swing there while looking at all the fishes swimming around since the water is so clear you can see everything underneath! Too bad, I wasn’t able to get a photo of this. Anyways, we opted to camp. Unlike other beach resorts who offer camping, Playa La Caleta beach resort has a lot of trees which means lots of shade. We didn’t bring a tent since ours was too bulky to travel with. We borrowed one of the resort’s tents and rented some foams as well as blankets. Ate Violy was the one who assisted us during our stay. She’s been so helpful and patient with us. She even helped us cook our meals. As for our activities, we loved snorkeling at the resort. There were lots of fishes to see near the rocks but there weren’t a lot of corals. My boyfriend saw a big ‘pawikan’ though, with two little ‘pawikan’ babies following close behind. When snorkeling, you have to be careful since, during low tide, you can easily bump into some rocks. But that’s not all! The waters in the middle of the beach and Miguelito Island has a lot of sea urchins. We borrowed some body boards and decided to swim from the beach to Miguelito Island. Yes, we were crazy! We snorkeled and swam until we reached the island (which is pretty far, by the way). You can already rent a boat for 500 pesos to bring you here. Unfortunately, the surrounding areas of Miguelito Island were so rocky that we had a hard time finding a spot to stop by. I grazed my elbows when the waters suddenly pushed me to the rocks, too. There’s really not much to see on these parts except for the fishes, I guess. Since we went there during a low tide, we could walk from Miguelito Island to the other side near the beach resort. I was a bit disappointed. There was a lot of trash on these parts. I even found myself some slippers. One big and one small. My fiance’ and I had a lot of fun staying in Playa La Caleta beach resort. Check out some of the photos we took. Yup. I climbed the tree (with his help, of course!). When we went there and stayed for 3 days and 2 nights, we didn’t spend much. Probably since there were only a few guests and we went during the non-peak season, we were able to use their amenities and rent stuff for unlimited usage. Hehe. Here are the Playa La Caleta beach resort rates when we went there. Do note that these can change without prior notice so always check their website. Playa La Caleta beach resort is famous for its 75-feet slide. But sad to say, typhoon ‘Ompong’ destroyed it so they were still on the process of restoring it when we went there. Too bad, I wanted to try it so bad. Huhu. To get to Playa La Caleta, you have to rent a boat. If you are a group of three or more, you’ll be assigned to a big boat and pay P1,800 for a round trip. On the other hand, if there’s just the two of you (like us), you’ll be given a smaller boat which you can rent at P1,000 for a round trip. You have two options. It’s either you ride a bus to Bataan or the 1Bataan Ferry. From Cubao, ride a Genesis bus or a Bataan Transit Bus to get to Balanga, Bataan. Travel time is around 3 to 4 hours depending on the traffic. The fare is around P214. Then, from Balanga Terminal ride a jeep to Bagac. Travel time is around 1 hour while the fare is at P48. When in Bagac, ride a tricycle to Fajardo’s Beach Resort. Travel time is 5-10 minutes while the fare is P20. At Fajardo’s, you will ride a boat going to Playa La Caleta. You can either rent a boat from Playa La Caleta or talk to one of the boatmen in Bagac. If you choose to rent from Playa La Caleta, let them know what time you are going to reach Bagac so they can send a boatman to fetch you at Fajardo’s Beach Resort. From Esplanade Seaside Terminal near MOA, ride the 1Bataan Ferry. 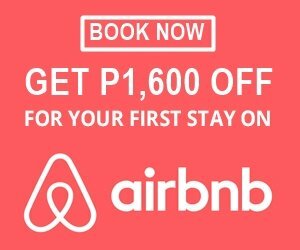 You can book online for only P450 or do walk in for P750. Travel time is around 1 hour. 1Bataan Ferry will bring you to Orion, Bataan. From here, ride the free shuttle to Jollibee, Balanga. Travel time is around 20 minutes. Then, ride a tricycle to the Bagac jeep terminal. The fare is around P40. Just follow the instructions listed above (via bus) from number’s 2 to 4 to reach Playa La Caleta. I had a bit of a hard time getting in touch with the resort since their Facebook Page doesn’t have a ‘chat’ feature. I called their contact numbers and they take some time in picking up calls. Overnight parking fee at Fajardo’s is P200. Entrance Fee is P300 per head for overnight and P200 per head for day trips. Bring mosquito repellants if you’re planning on doing an overnight. Bottled water and food is a bit expensive at the resort, so stop by Bagac market to buy everything you need before going. Bring your power banks. There are no outlets in the camping area if you decide to camp. However, you can go to the office and charge your gadgets there. There is NO signal for both Globe and Smart in 90% of the resort area. However, you can get some signal near the lifeguard post. Mobile data is only at H+. So expect to upload your photos only once you leave the resort. Check-in is at 1:00 PM and check out is at 11 AM. For a side trip, you can go to Las Casas Filipinas de Acuzar after or before going to Playa La Caleta beach resort. It’s just a few minutes away from the Fajardo Beach Resort. See the photo below. That’s Las Casas Filipinas de Acuzar right there! Thanks for reading the article! Did you like it? How much did you spend all in all? We’re planning to go there next week via motorcycle for 2 days and 1 night and we don’t want to spend that much. Thanks in advance.